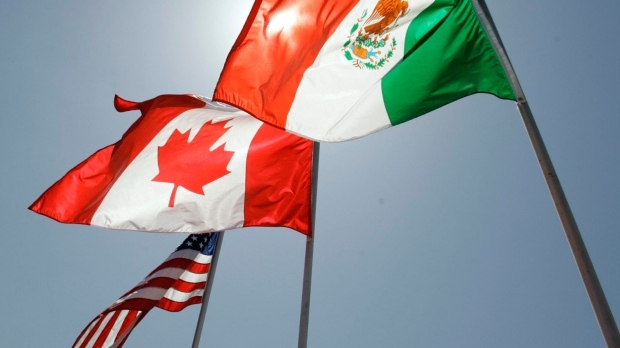 WASHINGTON — The United States is seeking to insert a so-called sunset clause into a new NAFTA, which would terminate the agreement after five years unless the three member countries agree to extend it. Wilbur Ross, Donald Trump’s commerce secretary, confirmed the news Thursday, saying the constant threat of termination would force a permanent re-evaluation of the agreement and require countries to keep improving it. “(It) would force a systematic re-examination,” Ross told a forum organized by the website Politico. He said he and the U.S. trade czar, Robert Lighthizer, agree on the idea. Ross made his remarks after being asked about a report on the idea by Politico and he publicly confirmed the report. But he said it’s unclear whether Canada and Mexico, the other NAFTA countries, would accept the proposal. He said he wants a deal by the end of the year and would rather not terminate the agreement as Trump has threatened. Ross said it will become harder to get a deal after this year for four reasons: Next year, the U.S. fast-track law needs to be re-affirmed in Congress, the U.S. has congressional elections, Mexico has presidential elections and Canada has provincial elections. Ross said the president is serious when he threatens to cancel NAFTA. “It’s a very real thing,” he said.